Although it wasn’t the type of game he was expecting to play in October, NHLPA member Kevin Bieksa can’t wait to get out on the ice for his upcoming charity event. It’s only right the name of the game, set for October 17, has been dubbed Bieksa's Buddies, one that will see several NHLPA members face-off against the UBC Thunderbirds. Proceeds of the game, which takes place at UBC’s Doug Mitchell Thunderbird Arena, will go to Canuck Place Children’s Hospice, Canucks Autism Network and the Canucks Family Education Centre. Bieksa, along with Henrik and Daniel Sedin, Dan Hamhuis, Manny Malhotra, Maxim Lapierre, Cory Schneider and Willie Mitchell are just some of the players who will be taking part. “It’s going to be a lot of fun,” said Bieksa. 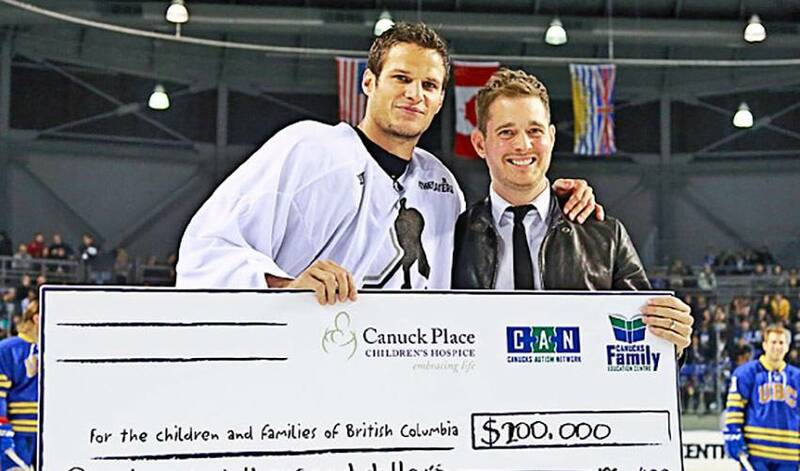 For Bieksa, lending his time and support to the community is a privilege. “Dan Hamhuis and his family recently gave a big cheque to Ronald McDonald House, the Sedins made a huge donation to BC Children’s Hospital and Manny Malhotra has been helping build playgrounds. Even though it won’t count in the standings, Bieksa is eager to lace up the skates in game action. Bieksa, like his fellow NHLPA members, is also hopeful he can get back on the ice to play in games that do count. For now, Bieksa will set his sights on Wednesday night. Bieksa, however, might not get the same support from one figure in particular when the puck drops on his charity game. What there is, though, is a winning feeling for everyone who takes part and those who benefit from it.